After a hectic couple of days I've wrapped my latest short film, the ridiculously titled Barbara from Outer Space. The shoot with Holly Burn and Helen Miles was loads of fun, and big thanks to both of them for being great at what they do. As with all my films I make a teaser poster and a final poster, got to keep the Photoshop skills polished. 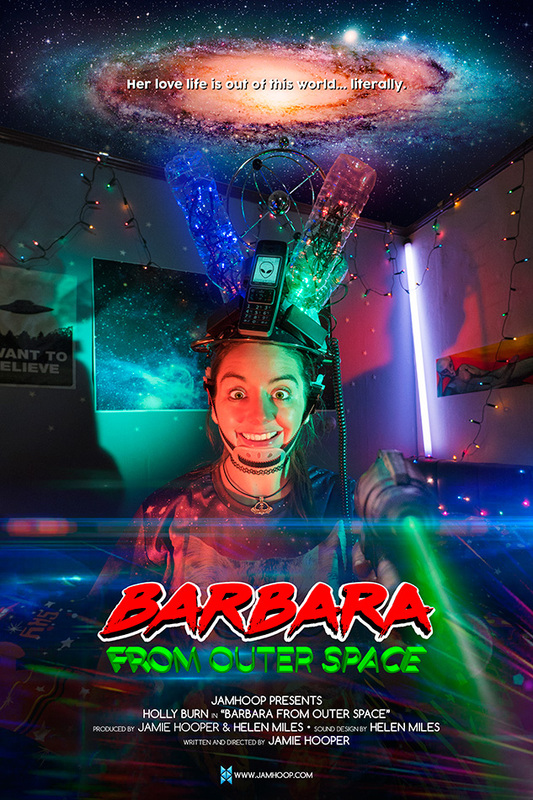 So please feast your eyeballs on the teaser poster for Barbara from Outer Space, conveniently placed below.